Shark Seat warmer kit provide comfortable heated experience when working / riding in the winter. 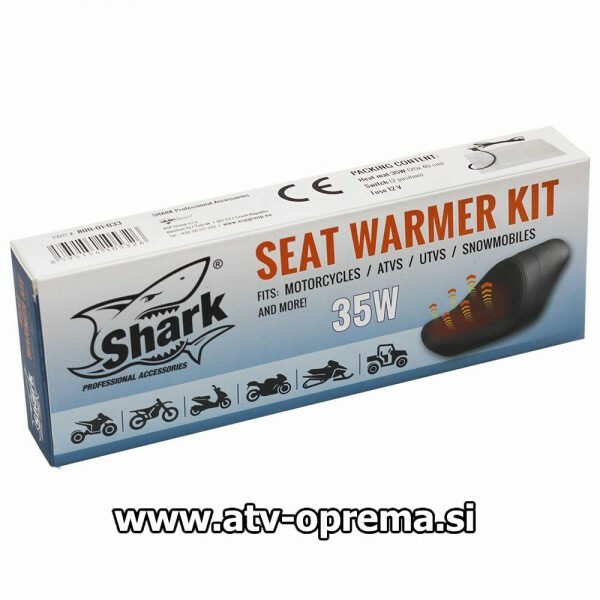 Durable 35W Shark seat heaters for ATVs / UTVs / Motorcycles and Snowmobiles are universally designed for a hassle-free installation on any vehicle to provide a warm, comfortable ride no matter what the weather is. 2-stage regulation, LED status display, 12V, 35 Watt, 19,5 x 39,5 cm.